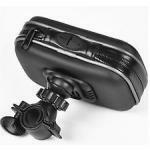 Pama Universal Splashproof Bike Case for device upto 152 mm display, width 20 mm. 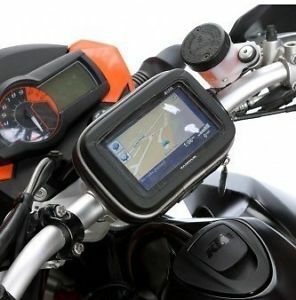 Waterproof Protective Case for GPS Satellite Navigation devices inc Phones & iPhones with a high quality adjustable handlebar mount for Bikes - Motorcycle / Motorbike / Cycles / Bicycles. 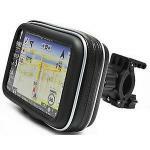 The universal case is waterproof and will protect from rain or damp weather. 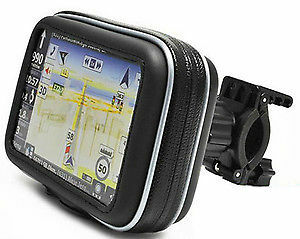 The water resistant zip keeps moisture out; Charging cable access. 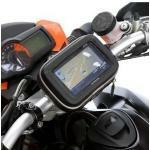 Save money by using your 'CAR' SatNav system out on two wheels without worrying about the elements. A must have accessory for Motorcycles & Bicycles. 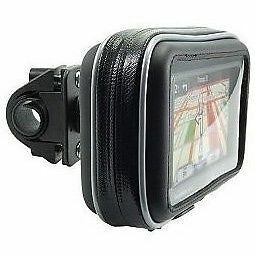 This universal case has a transparent touch sensitive lens which allows you to view and control your SatNav while it remains protected within the case. 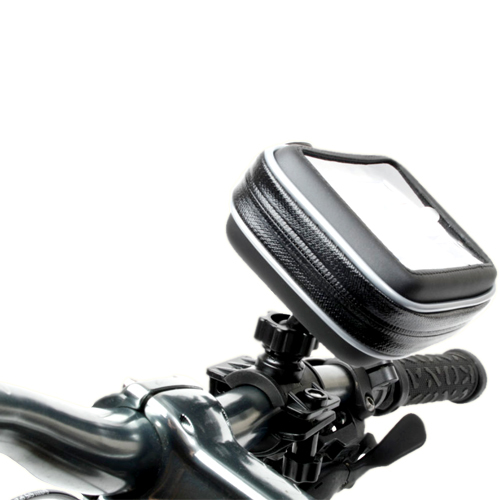 For use with bicycles, motorcycles, golf carts, ATVs, snowmobiles, hang gliders, or other apparatus having cylinder-shaped frames or posts.